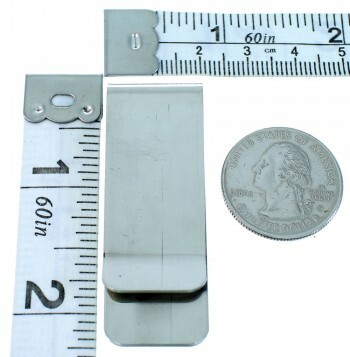 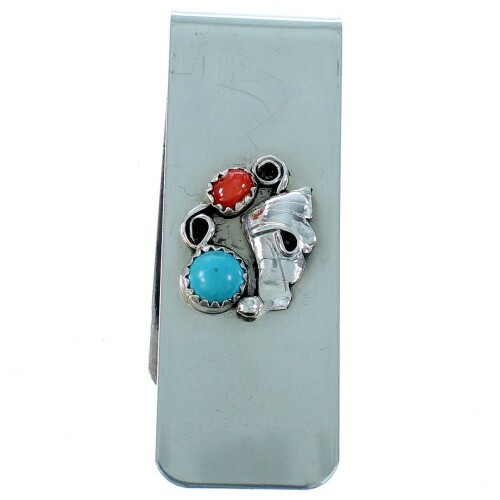 We bring to you this adorable money clip! This piece of Native American jewelry is Navajo hand crafted by artist Linda Yazzie, out of genuine sterling silver, along with a real Turquoise stone and a real Coral. 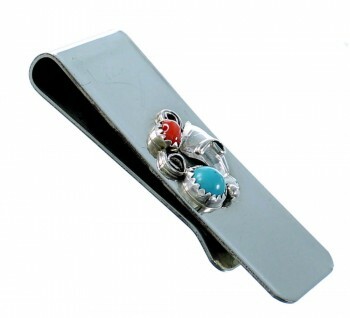 A total of TWO stones are set in hand cut bezel settings, while twisted silver, a mini silver bead, and scalloped leaf designs accent the money clip for a lovely finish.